Google Analytics is awesome. Just sign up for an account, put some code on your site, and you’re analyzing traffic in minutes! The problem with the default Google Analytics installation settings is that it’s too easy! With Google’s one-size-fits-all solution for tracking, you can get data in minutes. But using a solution designed to report on the same data for every website on the internet isn’t likely to provide you with the insights you need to improve your marketing. 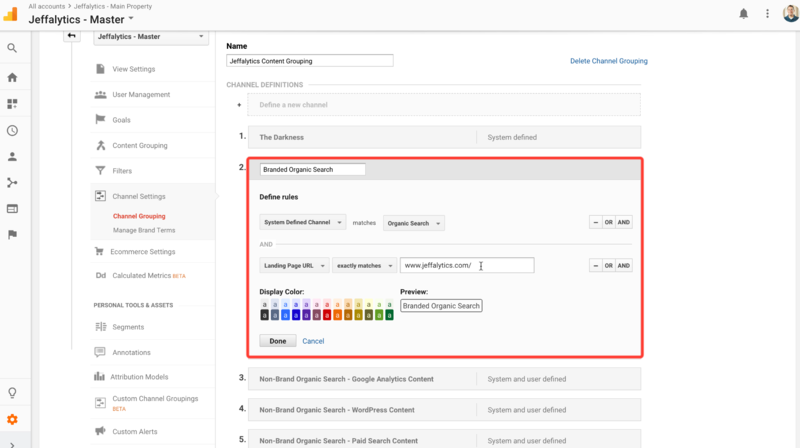 This guide and checklist are designed to help you create a plan that customizes the data you collect in your Google Analytics account to better match your organization’s needs. 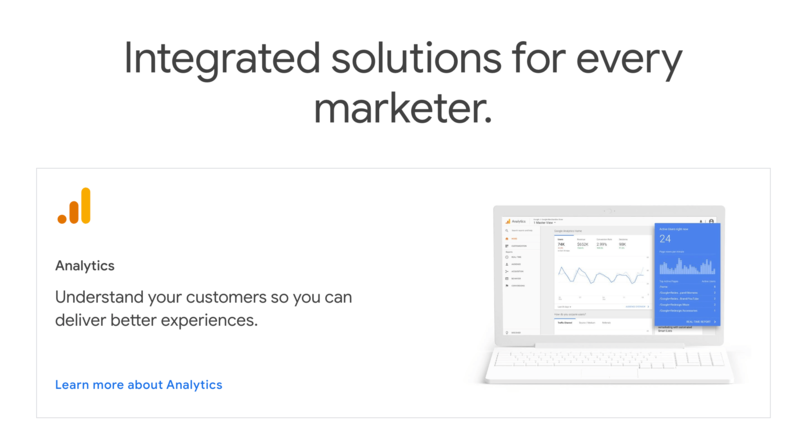 By customizing your installation, you can turn your Google Analytics account into a high-value, data-driven machine that provides you with the information you need to take action and improve your marketing. That sounds pretty great, doesn’t it? This guide is not necessarily meant to be completed all at once. While many steps are easy to implement and only involve checking a box in your Google Analytics settings, other steps involve significant account configuration. To help your work through all these steps at your own pace, we’ve included a checklist that you can download and save on your desktop or print out. If you get stuck on any of the account set up steps, don’t be afraid to leave a comment on this post with your questions. There are three sections to this guide, covering beginner, intermediate and advanced topics. Within this guide, we have linked to many other resources that will help further your understanding of how to build and optimize your Google Analytics account. You can also join our Analytics Course if you are looking to master all the steps in this guide and build a fully customized Google Analytics account right away. Ready to turn your Google Analytics account into a customized business solution? Let’s get started! Steps 1 through 6 in this guide apply to every Google Analytics user. No matter your level of expertise, you should be able to accomplish these tasks. Defining the objective of your website is crucial to getting the most out of Google Analytics. Businesses will have different data collection and reporting needs based on the purpose their websites serve. For example, a site that’s designed to be informational will have entirely different goals than an e-commerce site. And a lead generation site will want to focus on different metrics than an affiliate site. Setting your website’s objective will guide how you customize Google Analytics to track your results in future steps. So identifying what objectives your website should serve is the first, and most important step in your Google Analytics game plan. Below is a list of some of the most common website functions and objectives. You can use these examples to help define your website’s primary purpose. 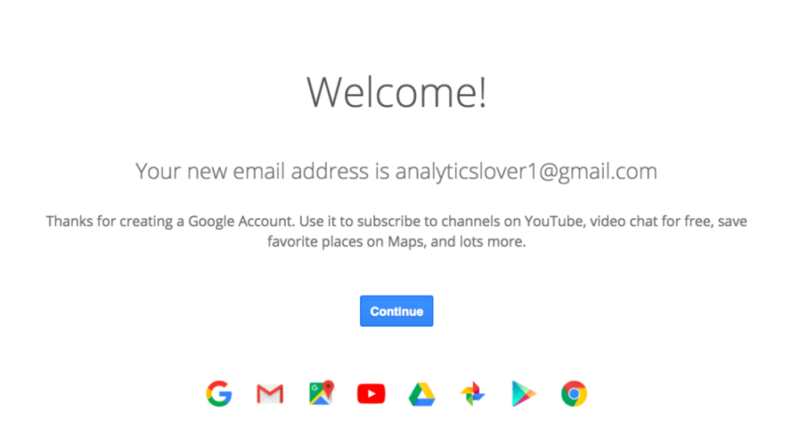 Now it’s time to create a Google Analytics account (If you don’t already have one). To set up a Google Analytics account, you need a Google Account. Per Google, a Google account is “One free account that gets you into everything Google.” Think of your Google account as your master access point for all your Google products and tools. Once you have set up a Google account, you can create your Analytics Account. To set up a new Google Analytics account, navigate to the Google marketing platform. Then, choose to start a new Analytics account. Next, you’ll be greeted with Google’s three-step setup process. We are going to complete step 1, and then map out the rest of our account before we move on to steps 2 and 3. 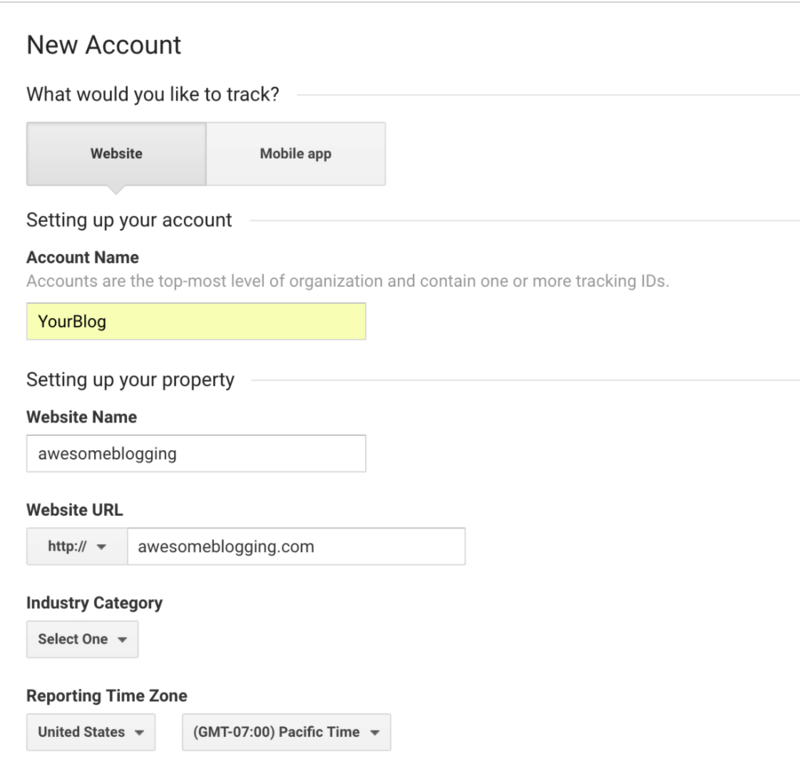 ☐ Create a property and view for your primary domain name to be tracked with Google Analytics. Note: Any account name will work here. You can always update the name later. When you create your account, you’ll need to give it an account name, enter your website name, and input your domain name. After you complete these steps, Google will generate your tracking code for your website. ☐ DO NOT install the tracking code yet! There are several different ways to install your code. If you rush to put this code on your site right away, you might create extra work for yourself. 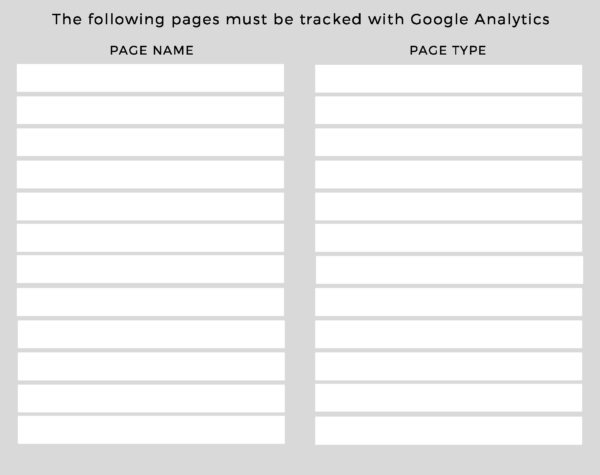 Completing the beginner steps in this guide will allow you to make an informed decision about how to manage your Google Analytics tracking code. It might feel like we are getting ahead of ourselves by talking about account access before we even start tracking your site. But this is the best time to think about account access. Let me explain why. Don’t lose control of your Google Analytics account! One of my most popular blog posts is – How To Recover Your Google Analytics Account. This post receives over 1,400 new sessions every month. That’s 1,400 Google Analytics users that are locked out of their account and desperately trying to recover access. Most of these account owners find out they are locked out when they are in the midst of a marketing effort that requires access to their Google Analytics data. Recovering access to their account may take them two to three weeks. You don’t ever want this to be you. So create a plan to manage your account access from day one! Want more information about account permissions? 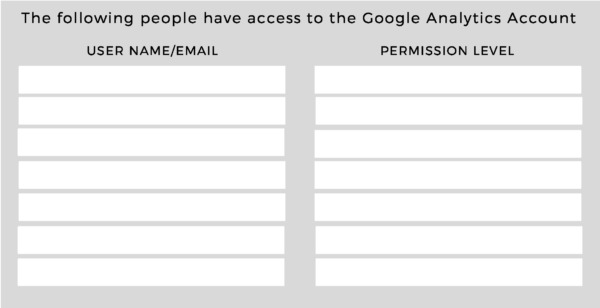 Our guide to Google Analytics permissions thoroughly details every level of Google Analytics access. You can review the full guide to gain a complete understanding of account permissions. But I’ve also included the reader’s digest version of what these permission levels are and what they mean below. This permission allows users to make substantial changes to your account. These changes included adding and removing filters, adding and editing goals, deleting views and properties, and much more. I recommend that you only provide this permission level to Google Analytics certified users. This permission allows users to view reports and also view shared assets like dashboards and annotations within the account. This permission allows users to view reports and perform analysis for any account, property, or view they are assigned. This permission allows users to provide account access to other users. I recommend limiting this privilege to 2-3 people within your account. It is always a good idea to have at least two people with manage users access, in case one member leaves your organization. Tagging refers to installing tracking code on your website that communicates information to Google Analytics. When you install your Google Analytics tracking code, you are tagging your website with that code. And you’re allowing Google Analytics to measure pageviews on your site. A pageview occurs any time a page on your website loads in a visitor’s browser. Pageviews are the only website interaction that Google Analytics measures by default. If you want to track e-commerce sales, you have to enable e-commerce tracking. If you want to track conversions, you have to set up goals. And if you want to track the things that happen inside your web pages, like video views, page scrolling, downloads, etc., you will need to use event tracking. Most digital marketers find out that they want to move beyond the Google Analytics default settings at some point in their evolution. By assessing your tagging and tracking needs now, you can limit the amount of upgrading you’ll have to do later on. And you’ll benefit from creating an account that will be set up to track your most valuable data as soon as you’re ready. Below is a list of some of the advanced Google Analytics tracking features you might want to use. To complete this step, check off any of the tracking categories that are of value to your website analytics. Then identify the pages on your site where you’ll need to put this tracking place. Keep in mind this is a preliminary plan. You don’t have to be exhaustive and detailed with your tracking inventory at this point. You just want to get a general idea of the type of visitor actions you need to measure to help your site achieve its goals. ☐ Key website pages, shopping cart pages, etc. ☐ List file downloads that you would like to track inside Google Analytics. Files like PDFs, apps, etc. ☐ List any on-page events you would like to track. For example, video views, form interactions, button clicks, etc. ☐ Does this site need e-commerce tracking? ☐ List the key conversion points on your website. Thank you pages, account signups, newsletters, lead capture page, etc. It’s time to figure out the best way to install your Google Analytics tracking code. Your answers to steps 4 and 5 of this guide will help make this an easy decision. There are three primary ways to put Google Analytics on your site. Many content management systems will allow you to do this with a code editor that places scripts in your site <head> section. 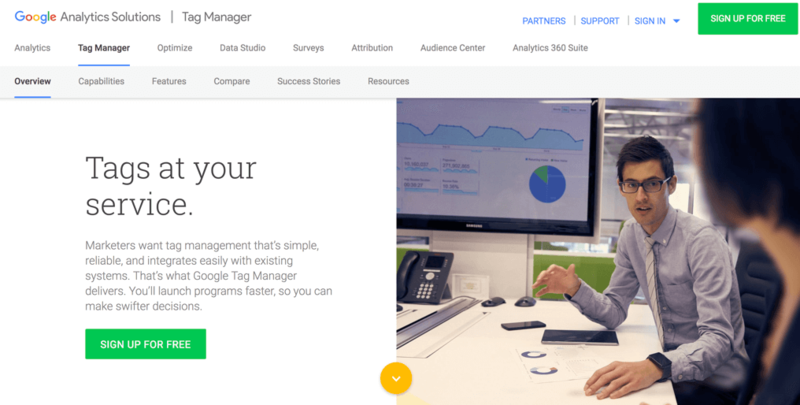 Google Tag Manager allows you to add tracking tags for multiple analytics, paid media, and audience measurement tools in one interface. It is our preferred method for putting Google Analytics on your site. Most modern content management systems allow you to add Google Analytics with a single click in their interface. Just enter your tracking ID (i.e., UA-XXXXXX-1), and they will handle the rest. This solution is very convenient for beginners but does sacrifice advanced functionality. Each website domain or mobile app you want to track = one property. If you want to link multiple domains in one property, you will need to utilize cross-domain tracking to display properly. ☐ Do you need to use cross-domain tracking – yes or no? Cross-domain tracking is an advanced tracking strategy that allows you to track activities across multiple domains in one Google Analytics property. You can learn more about how this technique works and if you need to use it by visiting our cross-domain tracking guide. Steps 7 through 17 are designed for Google Analytics users with intermediate level skills. Many of these steps are easy to follow. 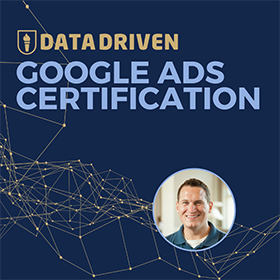 But if you’re not entirely confident in your Google Analytics skills, you may want to enlist the help of an Analytics certified professional (or become Google Analytics certified yourself). If you want to customize your Google Analytics reports to focus on your most critical success metrics, then you need to know which data points are most important to your objectives. Let’s use some of our example website objectives from Step 1 to define potential KPIs for each objective. ☐ Potential KPIs: Total pageviews, sessions by source/medium, top landing pages, top organic keywords, page value, time on page, goal conversions. ☐ Potential KPIs: Total revenue, e-commerce conversion rate, page value, conversion rate by source/medium, sales by product category, return on ad spend (ROAS), conversion rate by gender/age and interest category, conversion rate by external campaign name. ☐ Potential KPIs: Goal conversions, conversions rate by landing page, page value, conversion rate by source/medium, conversion rate by gender/age and interest category, contact form submissions by landing page. ☐ Potential KPIs: Outbound clicks per landing page, content group conversion rates, page value, traffic by source/medium, top landing pages, top external links clicked by page. 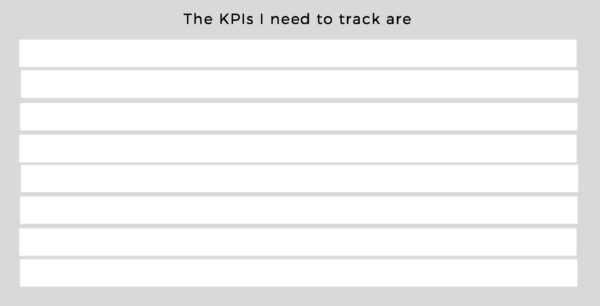 ☐ Write down the KPIs that are most important to your website’s objective. The purpose of Google Analytics views is to allow you to create different abstractions of your Google Analytics data while protecting the integrity of your analytics data. Views also allow you to control access to reports and improve your reporting capabilities. You’ll use your main reporting view 99% of the time you’re in Google Analytics. This view should include filters to block internal website traffic. (Internal traffic is web traffic generated by you, your team, or other people frequenting your website who are not part of your marketing audience). You will also want to block bot traffic from showing up in this view. Make sure your goals and your other vital metrics are configured in this view. This view does not use any filters and doesn’t prevent any data from entering your reporting interface. You’ll use your unfiltered view for diagnosing data discrepancies or anomalies in your main reporting view. This view will also help you troubleshoot data integrity issues. This is a view to test filters and new data collection methods before you apply them in your main reporting view. You do not want to obscure your primary reporting view data with experimental filters. So be sure to test your new filters in before you add them to your main reports. There are specific features you need to enable at an account level if you want to take advantage of them. Review the following account settings and apply them as needed. You’ll need to turn on this setting to link to other Google products (like GTM, of Google Ads, etc.) with your account. This setting is also necessary to if you want to enable the Google Search Console. This setting allows you to use anonymous data to compare your website to other sites in your industry. You need to enable this feature to allow Google to provide you with technical support. This setting needs to be turned on if you work with a Google Analytics account specialist. Support from account specialist can be critical if you have a Google Ads representative. If you want Google Analytics to collect and report data about the age, gender, or interests of your audience, then you’ll need to enable demographics. You also need to turn on this feature to create remarketing or audience lists in Google Analytics. Google Analytics is capable of integrating with many other Google products. The advantage of linking your Analytics account with other Google marketing products is that you can see all your data inside Google Analytics. Using analytics to track data from these other platforms can be an ultra-efficient and powerful way to gain deeper insights. 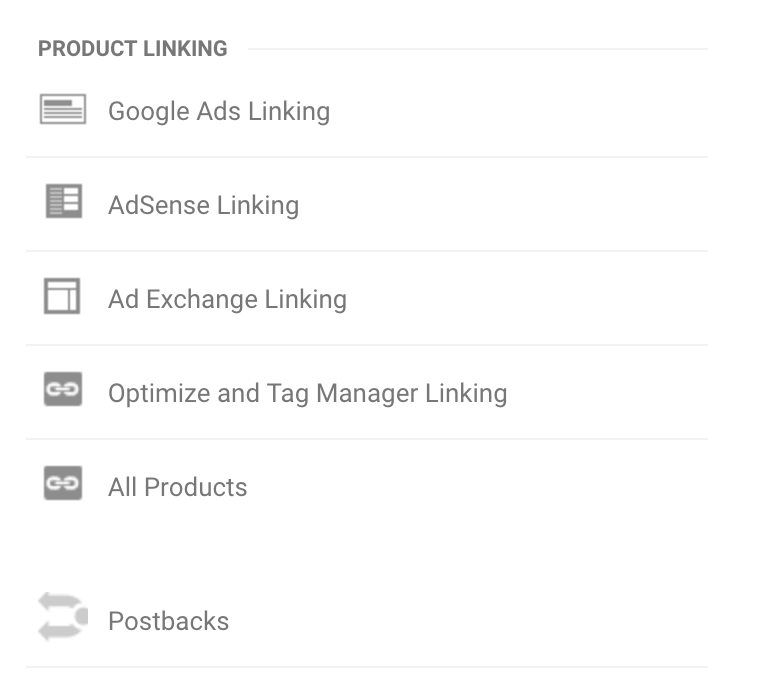 Check off all the Google products you need to link with your analytics account. The default data retention setting in Google Analytics is 26 months. In a new account, this may feel like an eternity from now. But time flies when you’re having fun with web analytics! Be aware that if you don’t adjust your data retention setting, Google will dump you user data after 26 months. Without historical user data, you’ll lose many advanced analytics capabilities. If you’re going to want to do historical analysis beyond 26 months, change your data retention setting now. We recommend keeping data only as long as needed to perform historical analysis. For some businesses, the default of 26 months is sufficient. For long-term business needs, you may choose a more extended period. 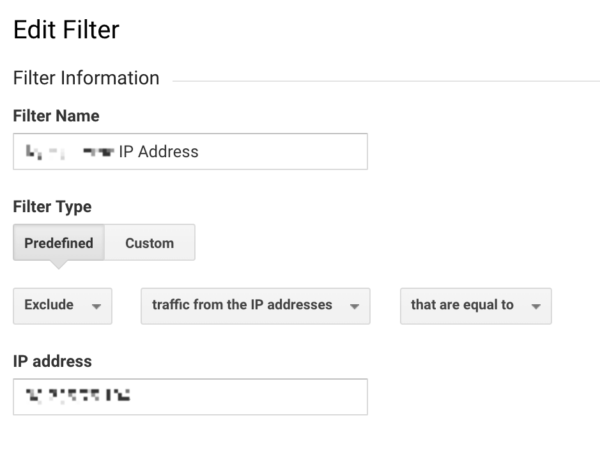 At a minimum, we recommend adding the following filters to your test view and eventually adding them to your main reporting view in Google Analytics. Turning on this filter is as simple as checking a box in your view settings. Google’s built-in bot filter will help you block most known unwanted and spam traffic from your account. But please note that this filter is not guaranteed to block all the junk traffic that enters your reports. So at some point, you may need to create more precise filters to keep your reports clean. This filter will help you block all website hits from people working at your company, based on their IP address. To block your entire organization (and yourself), you can use a more powerful ISP filter. After you establish the objectives of your website in Step #1, you can train Google Analytics to recognize when positive actions that occur on your site using goals. You can set up goals based on several user activities on your website, with the most common goal being a destination goal. Also, note that you will need to put goals in place to see Google Analytics metrics like conversion rate and page value. You are allowed up to 20 goals (but we recommend 2-3 to get started). 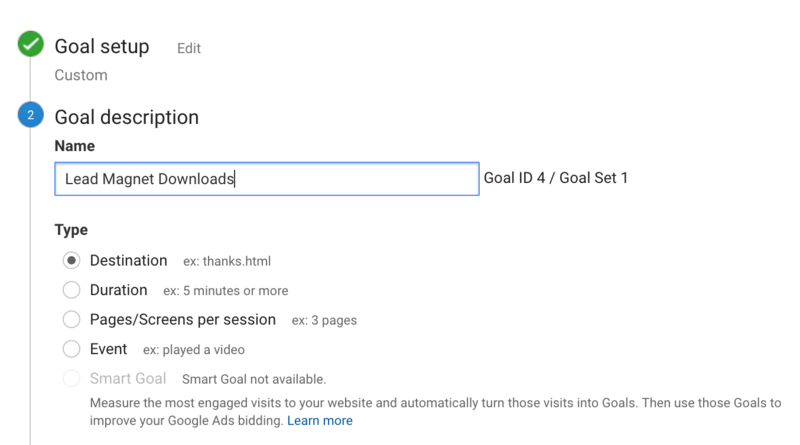 What goals do you plan to track in Google Analytics? In step 4, we created a preliminary tracking plan. If on-page visitor actions (events) are critical to your website objectives, then you want to build an event tacking plan. Below is a list of the events that Google Analytics is often used to track. You can use this list to help create your event tracking plan. You can use scroll tracking to see how far your visitors read down your pages. You can use video tracking to see how often, and how much of your videos your visitors view. You can use link click tracking to record event data in Google Analytics when visitors access your downloadable content. You can use form tracking to record when your visitors fill out or submit information in your lead generation or contact forms. You can use link click tracking to track clicks on outbound links from your site. 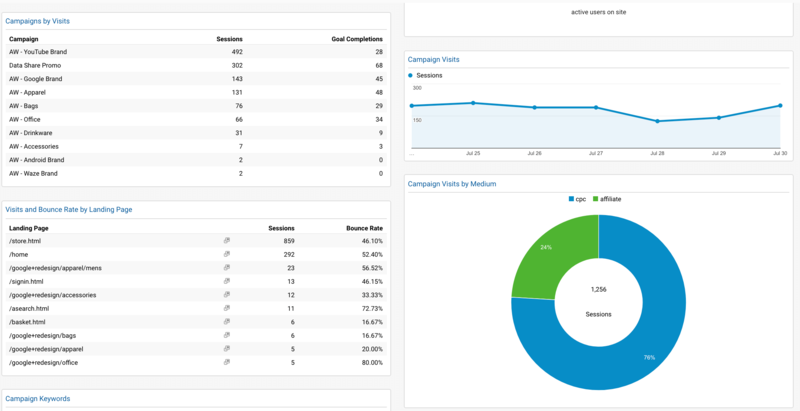 If you want to track your efforts to drive traffic to your website in Google Analytics, you need to use campaign tracking. We recently published a full campaign tracking guide and checklist. This guide will help you set up, track, and evaluate the results from your email, PPC, and referral traffic using Google Analytics. ☐ Add UTM codes to your email, PPC, social media, and referral links so that you can track all your outbound marketing efforts in Google Analytics. (Use our full campaign tracking guide and checklist). You need test and verify any advanced tracking that isn’t part of the Google Analytics default settings. If you use GTM to execute your event tracking plan, you can test your tags right inside of GTM. If you manually code or have a developer install your event or conversion tracking, you need to test your custom tags. 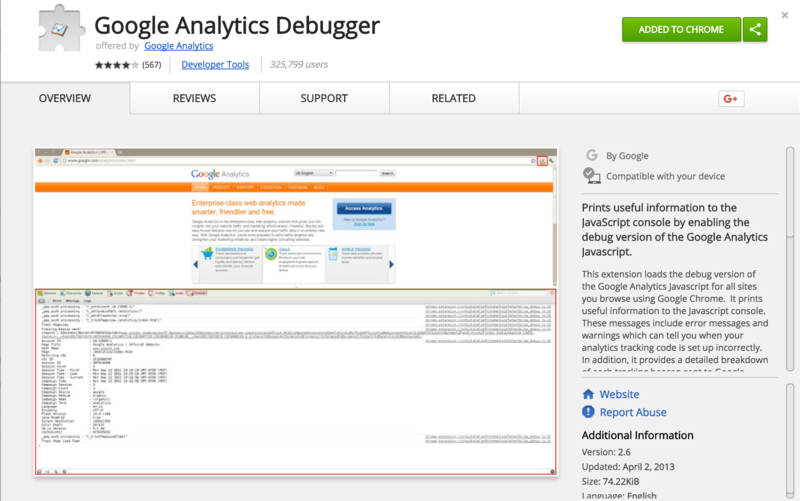 You can use the chrome extensions Tag Assistant and Google Analytics Debugger to check your tracking scripts. These tasks represent an advanced understanding of Google Analytics. It is highly recommended that only Google Analytics certified individuals perform these tasks. (Not there yet? 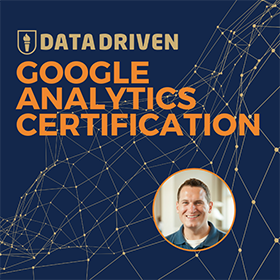 Get certified in less than 30 days with our Analytics Course). Tracking sales and revenue is critical for just about every company selling products online. Using e-commerce tracking in Google Analytics can take your online sales analysis to a whole other level. When you track your sales and revenue data in Google Analytics, you can add demographics data, page level traffic data, and event data to your sales numbers. This level of analysis can help you isolate the characteristics of the customers coming to your website. You can see how your customers are finding your site. And you can figure out which type of site content leads to conversion so that you can increase your sales. Like many of the other advanced tracking features, setting up e-commerce tracking can be simple or complicated depending on the options you have available. Many content e-commerce platforms offer plugins that can connect your site Google’s standard and enhanced e-commerce tracking systems. What’s the most critical part of working towards a goal? Tracking your progress towards achieving your goal! And the best way to monitor your progress is to keep your KPIs front and center. Back in step #7, you defined your website’s KPIs. Now it’s to make those metrics readily accessible so that you don’t have to dig through your analytics reports every time you want to know how you are doing. Google Analytics allows you to build custom dashboards that include the charts and graphs you need to see most often. You can even import and edit dashboards that other users have created from the Google Analytics Solution Gallery. 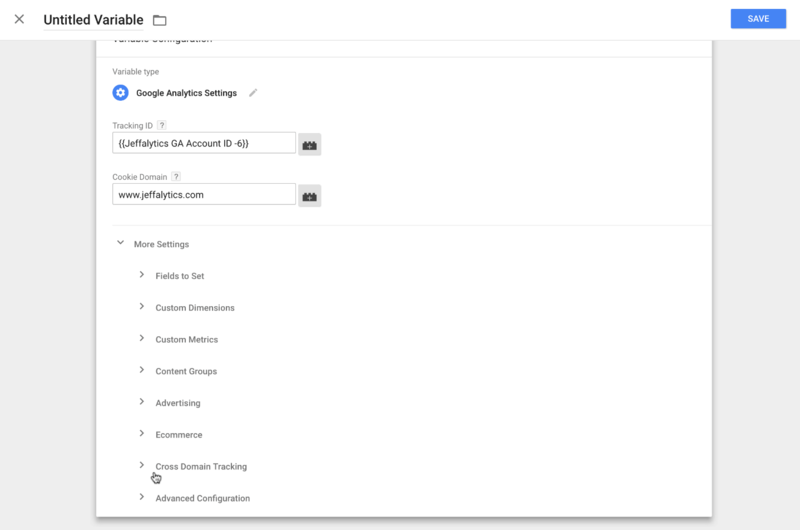 Or if you’re serious about your reporting dashboards (like I am), you can connect your Analytics account to Google Data Studio (GDS). 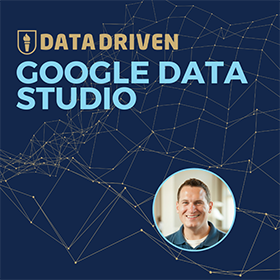 Data Studio has a cleaner reporting interface and is more flexible than working inside Google Analytics. You can connect directly to the Google Analytics API using GDS. 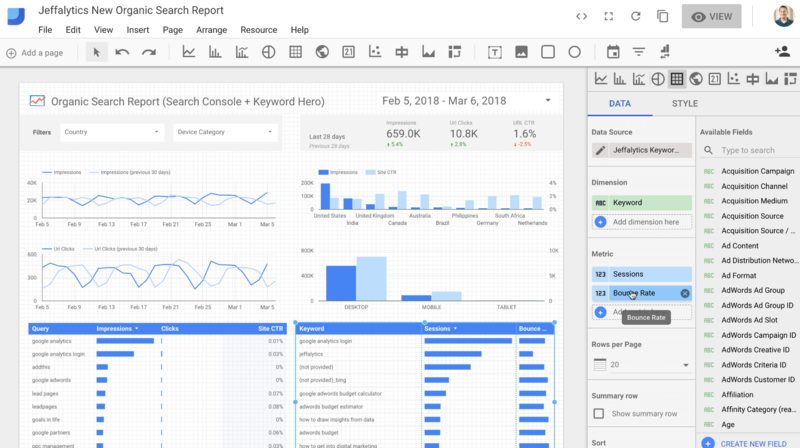 To see an example of how to create a GDS dashboard for your KPIs, check out our guide on building a custom dashboard for SEO reporting. Content groupings allow you to categorize your web pages by product, topic, or other page level characteristics. You can use content groupings to get a holistic view of how your website’s content is performing. ☐ Use the steps in our content grouping guide and checklist to set up this feature in your account. Channel groupings work similar to content groupings. They are often used with different reports from content groupings. And because channel groupings don’t use your site’s code, they can be applied retroactively. ☐ Use the steps in our channel grouping guide to set up this feature in your account. Advanced segments are like the analyst’s version of a butcher knife. Using advanced segments, you can carve through your analytics data and pull out the juiciest parts. You can build advanced segments to create customer avatars, audience cohorts and much more! ☐ Create advanced segments for key visitor segments. In step #10, we identified other Google marketing products you want to use. Now that your account is in working order, it’s time to connect those products to Google Analytics. You can connect to your other Google products in your property settings. Connecting your Analytics account to your other Google marketing platforms will help maximize the effectiveness of Google Analytics. Check off all the Google products you have successfully linked with your Analytics account. To make your analysis more effective, create and populate custom dimensions and metrics in Google Analytics. These customizations make analysis easier. They also allow you to bring external data into your reports and make Google Analytics speak the language of your business. Each property can have 20 custom dimensions and 20 custom metrics. Google Optimize is an A/B split testing system within Google Analytics. 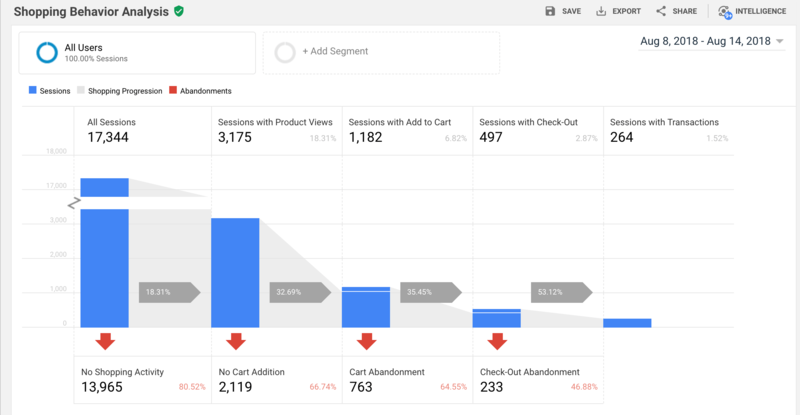 If you want to improve your conversion rates, consider running an experiment with Google Optimize. Did you complete all 25 steps? That’s our complete guide to building and optimizing your Google Analytics account. If you’ve worked through all 25 of the steps in this checklist, then you are a true Google Analytics hero! Do you have questions about any the steps in this guide? If you do, leave a comment below. 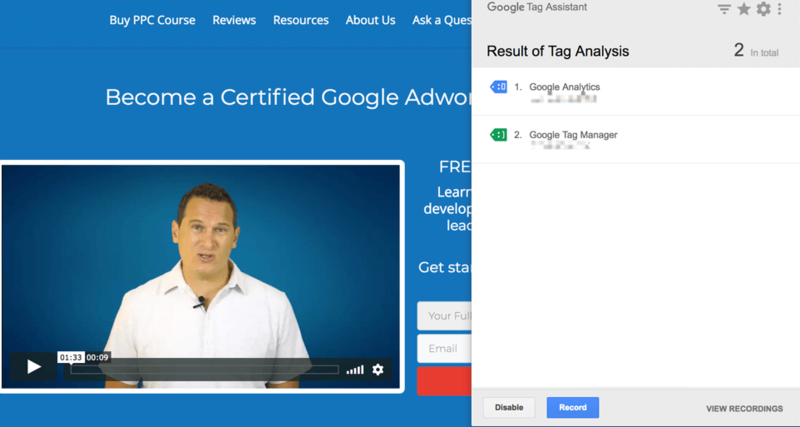 Or check out our Google Analytics, Tag Manager, and Google Ads training programs.